When you first add your bank into PocketSmith, the bank feed attempts to gather and import up to the last 90 days of your transaction history. If you would prefer to start your PocketSmith history from an earlier or later date than this initial import, the following user guide will show you how! If you'd like to start your transaction history after the initial import start date, this can be done by removing transactions before a specific date. You will need to first create a transactions search that shows all the transactions before that date. Using the results of your search, you can then delete these transactions from your PocketSmith. 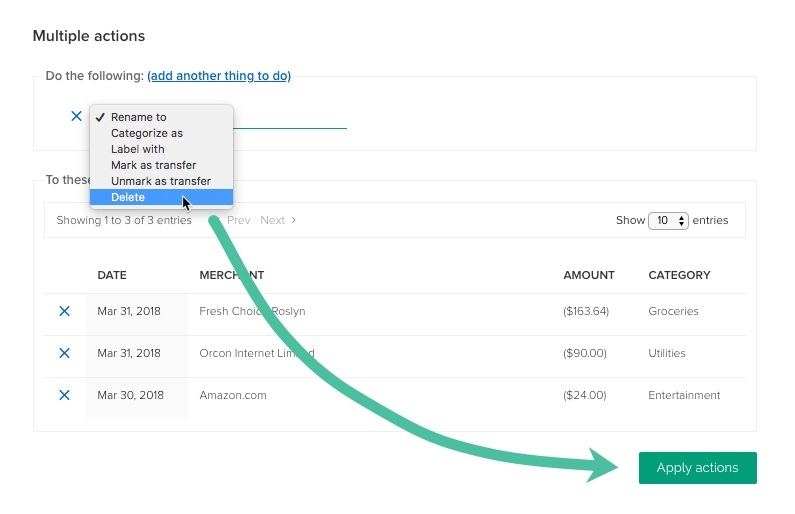 If the number of transactions you want to delete exceeds the number displayed on the page, you will need to increase the entries per page from the toolbar. 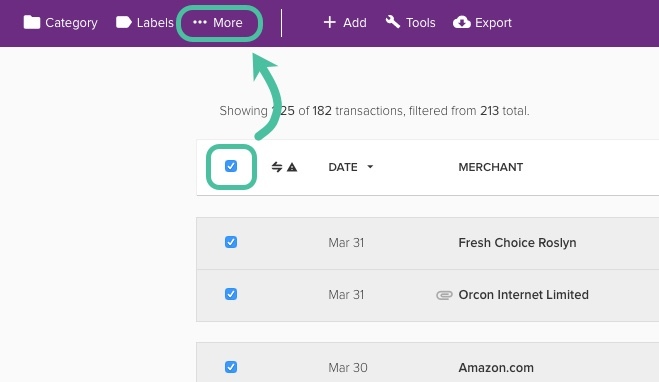 To import transactions that are older than those brought in by the initial bank feed import (up to 90 days), upload bank files from your online banking into PocketSmith 🗓.